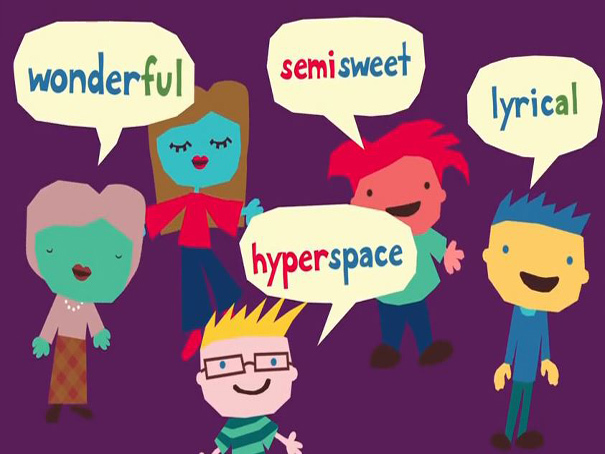 Listen to this fun song and learn how to use prefixes and suffixes. There are lots of examples so you can see the difference between a prefix (put at the beginning of a word) and a suffix (put at the end). You can also shown words that have both!